Silver prices today were trading up $0.12, or 0.78%, at $15.64. That puts silver prices at a one-month high and 8% above July's six-year low. 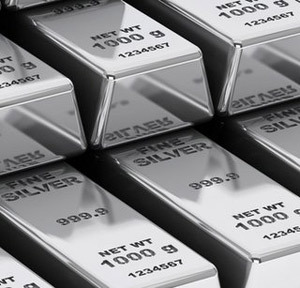 "Silver breached technical resistance at $15.30 and looks set to test $16," Swiss refiner and finance group MKS said in an investor note Thursday. Silver prices this week climbed after a trio of unexpected moves from China's central bank to devalue its closely regulated yuan. China's aim is to boost its slowing economy, which is expected to have trouble reaching a growth rate of 7% this year. Just a few years ago, China was enjoying an annual growth rate in the high double digits. The surprising action from the People's Bank of China drove investors to buy silver – a safe-haven alternative. Silver, like gold, is looked at as insurance. Silver is an actual store of value. And at current prices, the cost of insurance is tremendously cheap in relation to the wealth it protects. Silver prices are now almost back to where they began in 2015. The white metal started the year at $15.71, then hit its high for the year of $18.23 on Jan 23. Since then, silver prices have trended lower as investors await the first interest rate hike since June 2006 from the U.S. Federal Reserve. The Fed is expected to raise interest rates at some point in 2015. But China's action this week may be reason for the Fed to pause on a rate hike in September. That's bullish for silver prices today.